· Working Mother shares how Google has designed their office space for increased productivity and creativity. 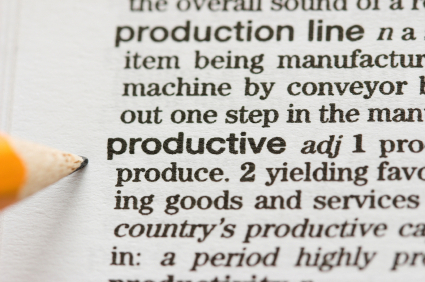 Would you consider doing any of their strategies to boost your productivity? · Speaking of productivity, could The Mom Writes simple productivity tip boost your productivity, too? · Do you dream of making a living as a writer? Often, the biggest obstacle is not having clips; Make a Living Writing recommends 10 entry level writing gigs that can give you great clips. · If you work from home as well as homeschool, keeping your home clean can be a real challenge because you're always in it! Freelance Homeschool Mom has found a fairly easy way to keep her home tidy. · If that strategy doesn't work for you, though, Real Ways to Earn Money Online shares a different strategy for keeping her home clean. · For parents, teaching kids how to tie their shoes and ride a bike can be challenging. However, Mom Advice removes one of these challenges by sharing a simple way to teach your kids to tie their shoes. Love it! · You can't beat $5 Dinner's plan for 20 meals from Costco for $150. · If you're a parent of young children, you probably have your fair share of broken crayons lying around. Why not try The Growing Room's Melted Crayon Dot Art? Looks like fun! · Embrace apple season with The Chaos and the Clutter's adorable apple craft for the kids. · Working online brings amazing flexibility. Dollars and Roses interviews Natalie Sisson of The Suitcase Entrepreneur. She travels the world while running a profitable online business. Sounds like a dream, doesn't it?